Without proper office acoustics, workers suffer. Modern offices are characterised by open spaces, where workers can easily interact, collaborate and communicate. However, little thought goes into how these new work spaces may affect the immediate sound environment. In fact, studies routinely show us that open plan offices are the noisiest workspaces and can reduce productivity by up to 66%. Noisy offices are responsible for physiological distress in workers; contributing to elevated blood pressure, accidents and drops in productivity. Acoustic panel solutions for offices are the easiest and most effective way to ensure the comfort of employees. 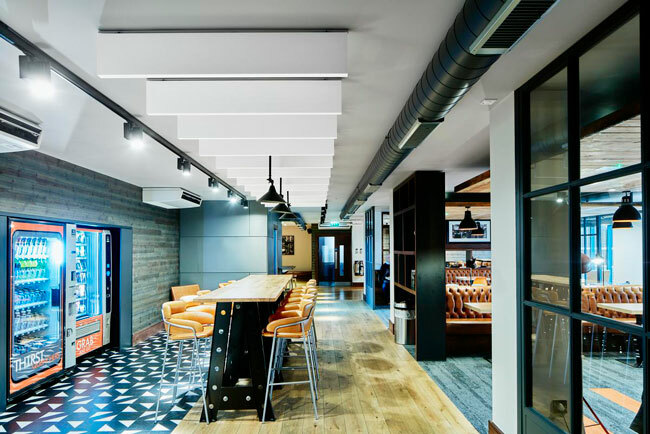 Our installations promise to restore acoustic clarity to your open-plan office, taking the harsh edge off noisy workspaces, creating comfort for workers, without losing the appeal of open-design. Our acoustic treatments for meeting rooms will restore auditory comfort for users, allowing ease of communication and prevent sound leakage to surrounding rooms. Conferencing calls can be jeopardised when a room’s acoustics aren’t taken into account. Our acoustic treatments ensure you get the most out of your audio-visual systems. Disruptive noise is everywhere in offices – telephones, chatter from colleagues, noise from printers and other office services. They are part and parcel of office life, despite being particularly distracting for workers and contributing to low productivity. Studies have shown that two of the most vital attributes of a functioning office worker, reading comprehension and memory, are those most sensitive to environmental noise. Modern offices are often without partitions and cubicles – exposing workers to nearby conversations . Unfortunately, conversations have been shown to be particularly distractive for workers, harming the ability to concentrate: workers exposed to just one nearby conversation have been shown to make workers up to 66% less productive. Offices with poor acoustics exacerbate noise, rather than mitigating it. Prolonged exposure to high noise levels can trigger stress responses in our bodies. A study published in ‘Noise Health’ showed that individuals exposed to noise as loud as traffic noise experienced a sharp increase in cortisol levels – the stress hormone in our bodies. 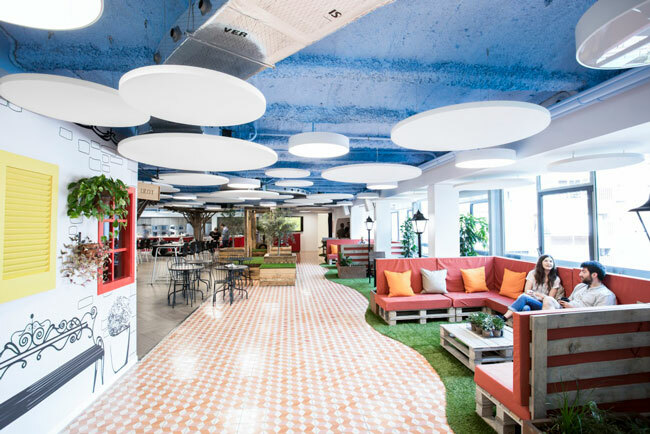 The introduction and strategic location of sound absorbing surfaces together with appropriate acoustic barriers will contribute towards providing an environment that creates maximum comfort for staff and can ensure good productivity. No matter what type of office space you are in; open plan, private office, meeting room or AV/VC suite, the pre-requisites for acoustic comfort, speech intelligibility and speech privacy are the same. 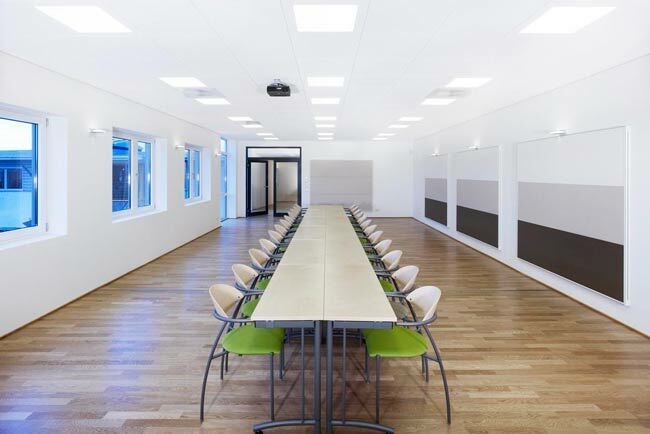 Explore our acoustic solutions for offices, meeting rooms and conference rooms.